This classic Japanese rice dish made with seasoned ground chicken over rice is a popular lunch for all ages, and it’s often used in bento box lunches found in train stations around Japan. For me, it’s an indispensible weekday meal because it’s quick, flavorful and satisfying. 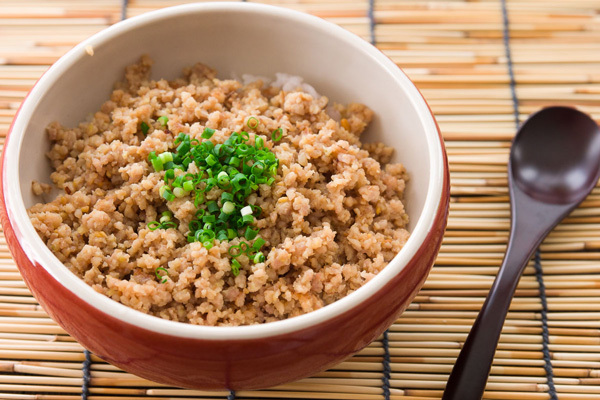 A classic Soboro Donburi is simply sautéed ground chicken, egg or fish seasoned with soy sauce and sugar served over rice. For this version, I’ve gone with a more full-bodied flavor profile. Redolent of caramelized ginger and scallions with an earthy, umami-rich miso flavor, it’s the kind of dish that will make your stomach grumble as you’re preparing it. 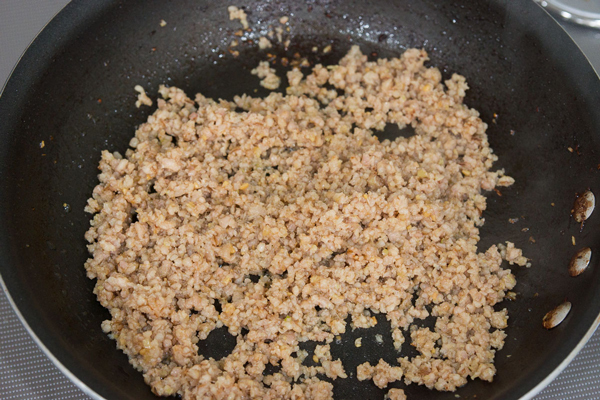 Although the soboro is usually served on top of the rice, each crumb of chicken ends up being about the size of a grain of rice. This makes the soboro disperse evenly through the rice as you eat it, ensuring you have a great ratio of chicken to rice all the way to the bottom of the bowl. To dress it up, try topping this donburi with a fried egg, or some sautéed vegetables. 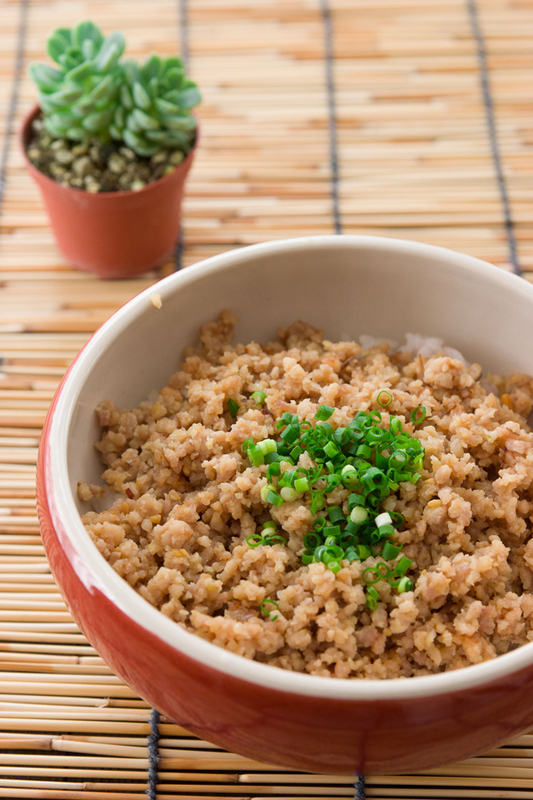 Make this popular Japanese rice and meat bowl for a flavorful and satisfying lunch. 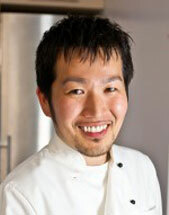 In a small bowl, whisk together the sake, miso and sugar, until everything is dissolved. 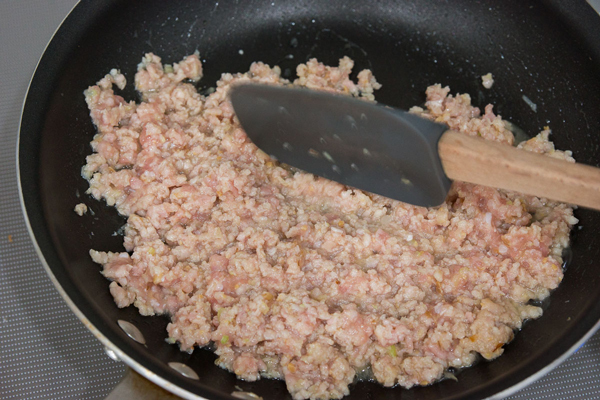 Add the ground chicken and mix together thoroughly, breaking up the chicken as you go. Heat a frying pan until hot. Add the vegetable oil and sauté the white part of the scallion along with the ginger until fragrant. 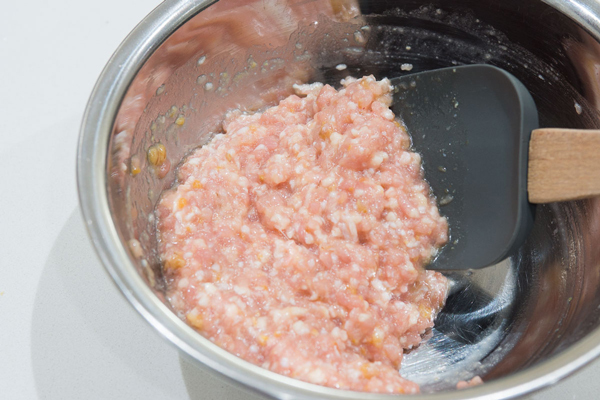 Add the marinated chicken mixture and cook, stirring constantly, breaking up any clumps that form using a chopping motion with a spatula. 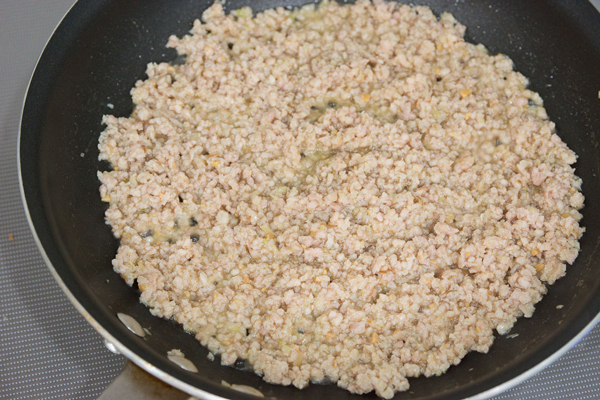 Fry until the chicken is cooked through and all the liquid has evaporated. Serve the soboro over hot rice, garnished with the sliced scallion greens.